When you publish a book, First Choice Books can assign your book an ISBN (International Standard Book Number) which is unique to your book. The ISBN identifies First Choice Books as the printer, and is available for immediate use. Or, if you would like to apply for your own ISBN, and list your own publishing imprint, you can do so. In Canada, ISBNs can be obtained through the Library and Archives Collections Canada. Canadian ISBNs are free. In the US, American authors can obtain an ISBN through the US ISBN office. They cost around $100US. Please note that ISBNs are international numbers: you only need one ISBN for a book to sell it anywhere in the world. You do not need a US ISBN to sell your Canadian book in the US, or vice versa. Multiple editions of the same book do require separate ISBNs. Examples: Hard cover, soft cover, eBook versions are all different editions, and require different ISBNs. Revised and updated versions of a book also require a new ISBN, especially if the title of the book changes in any way. All rights reserved. No part of this publication may be reproduced, stored in a retrieval system or transmitted in any form or by any means – electronic, mechanical, photocopying, and recording or otherwise – without the prior written permission of the author, except for brief passages quoted by a reviewer in a newspaper or magazine. To perform any of the above is an infringement of copyright law. You should also list on this page any credits for services such as editing, photographs, proof reading, layout and design, translation, etc. If First Choice Books is doing the layout and design of the book interior for you, we will format this page. Make sure to send the information needed for the copyright holder’s full name, and any additional credits. If you are doing your own layout and sending Print Ready PDFs, please insert the copyright page in the book. 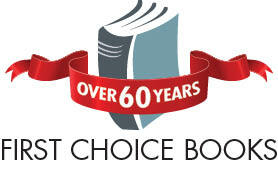 If you would like First Choice to assign an ISBN, we can let you know the ISBN: Email graphics@firstchoicebooks.ca. When you publish with First Choice Books, the copyright of the book remains with you, the author. You are free to make changes to the book at any time, or have it printed elsewhere. We can supply you with high resolution PDFs of your book’s print files ($30) or the full layout files if we did some or all of the design work here. ($100) You are free to publish variations on your work in other ways at any time. Note: Stock photographs and illustrations are usually licensed for specific usages. If we have purchased the use of stock photography specifically for your book, you may not use that photo for other purposes besides the book itself. If you wish to do so, most stock photo agencies will allow you to purchase rights to further usage of the photograph or illustration. Please enquire if you have questions about photo/illustration usage. How does copyright apply to my original work? Copyright refers to the ownership of a creation by its creator. It applies to any created work, such as literature, art, music, dramatic works, etc. As per the Canadian Copyright Act, copyright in a work exists for the life of the author/creator, the remainder of the calendar year in which he or she is deceased, plus fifty years after the end of that calendar year. Under copyright legislation, the author/creator is the party that not only writes something, but that also takes a photograph, designs computer software, produces audiovisual materials, composes music, designs maps, or draws plans or illustrations in either paper format or other mediums. It is important to note that the Copyright Act does not protect ideas, concepts, or themes, but that it does protect the language and words used to express such ideas, concepts and themes. In Canada, copyright in a work comes into existence when a work is created. Under Canadian copyright legislation rights of the author/creator are protected whether or not he or she has marked the work with the standard copyright symbol “©”. To use copyrighted material (lyrics, artwork, etc.) for your book, you must obtain documented permission for the copyright holder. Keep the permission on file for as long as your book is in publication, and make a note of it in your copyright page. Remember that any work that you use and did not create yourself requires permission to avoid a copyright violation. This includes works found on the internet. Once the copyright expires, the work becomes “public domain”, which frees it for use by the general public without copyright violation. But even for older works the copyright can be renewed or extended: Never assume a work is copyright free without researching its status. Read more about Canadian copyright. Read the full Canadian Copyright Act. Please note that copyright law differs between countries. Be sure to research the laws in your country if you are a citizen of a country other than Canada. International agreements mean that countries will respect the copyright of works created in other countries. Read about Copyright Law in the United States. Read about Copyright Law in the United Kingdom.